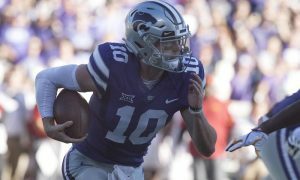 The Bigger Big 12 Sleeper in 2018: Iowa State or West Virginia? As we get closer towards the 2018 season, we will begin holding some roundtables with the Heartland College Sports Crew. Myself (Pete Mundo), Derek Duke, Matthew Postins, Cameron Brock and Dave Beall will take you through some of the most intriguing questions that the upcoming season has to offer. We will all sporadically participate in these roundtables and there’s no doubt the opinions will be differing, strong and compelling. 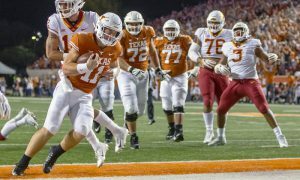 Who is the bigger sleeper team in the Big 12 Conference in 2018: Iowa State or West Virginia? 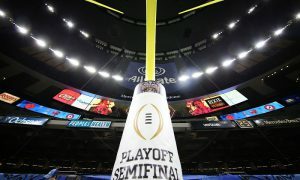 Matthew Postins: From my perspective, it can only be Iowa State. But part of that is the fact that I consider West Virginia to be a front runner to win the conference, or at least claim one of the top two spots and advance to the Big 12 Championship Game. So if Iowa State is my dark horse, then why? There is plenty to feel good about in Ames right now, and I witnessed that first-hand last year when I traveled there for the Texas game. But I’m concerned about a few things. First, there’s the loss of wide receiver Allen Lazard to the NFL. The Cyclones have some solid targets, led by Hakeem Butler, but will any of them measure up to the standard Lazard set the past few years? Second, there’s QB Kyle Kempt, who revitalized the offense at midseason. Before arriving at Iowa State he had been at Oregon State and the junior college ranks. So will the Kempt we saw last season be the Kempt we’ll see this season? I think that’s critical for 2018 and I think it’s a bit of an unknown, based on his track record. Third, no Joel Lanning at linebacker and no Kamari Cotton-Moya in the secondary. Those are two big pieces lost to graduation. Now, the Cyclones still have corner Brian Peavy and five other starters coming back, but middle linebacker is a huge hole to fill. This is in no way a make-or-break year for the Cyclones. But this is a year in which we start to see whether head coach Matt Campbell’s recruiting acumen is starting to pay off. So, to me, if the Cyclones hit on the three areas above, there is every reason to believe they can compete for the top of this conference. But if they don’t, well, that’s why they’re a dark horse pick, in my opinion. Pete Mundo: The Mountaineers, hands down. If Dana Holgorsen can’t put together a 10-win season with this team, with a quarterback who has the potential to win a Heisman Trophy, then it’s just not going to happen for him in Morgantown. Mountaineers fans have realistic expectations (the majority) and I believe feel like they should win 7-9 games per year and every four years be in contention for a conference title. That is this year. The offense with Grier, David Sills and Gary Jennings is just the tip of the iceberg. And if Tony Gibson can get this defense to be a semblance of what it was in 2016, then watch out. 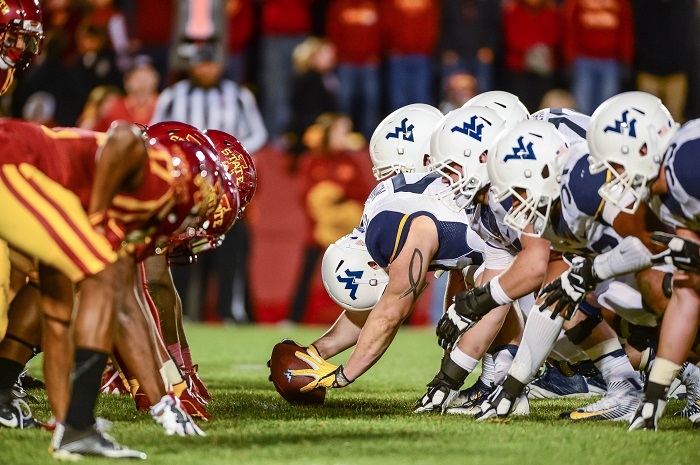 Iowa State loses too much leadership for me to say they are more likely to be a sleeper team than West Virginia. 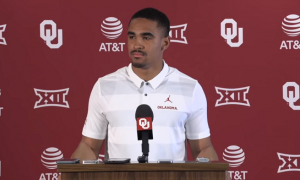 Joel Lanning and Allen Lazard are tough enough to replace as players, but as team leaders and role models? That’s even tougher. 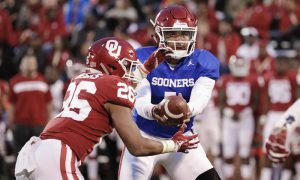 I think the Cyclones can certainly be in the top half of the conference, but between these two teams heading into 2018, it’s the Mountaineers who are more likely to crash the party and destroy the Vegas oddsmakers who are banking on an Oklahoma vs. Texas showdown in Arlington in early December. Cameron Brock: West Virginia is not much of a sleeper team. In fact, I think this team is overrated. Meanwhile, Iowa State is the most underrated team in the nation. The Mountaineers will have a stellar offense. That’s no surprise considering Dana Holgorsen is the coach. He’s always been one of the great offensive minds in the game. However, their defense is always suspect, and they are losing a lot of experience in the secondary. An inexperienced secondary in this conference means your team will give up big plays in the passing game. The Mountaineers will need a big push from the front seven to help the offense from havng to outscore each team every week. Meanwhile, Iowa State has the best running back in the Big 12 Conference and one of the better defenses. This defense returns Jaquan Baley, who was the leading sophomore in the Big 12 for sacks. He finished fifth overall in the conference with seven total sacks. This team will also feature a linebacking corps that includes Willie Harvey and Marcel Spears. Spears notched over 100 tackles as a sophomore in 2017 while Harvey finished in the conference top 10 in tackles for loss. Brian Peavy will lead the secondary. Let’s not forget Matt Campbell is the reigning Big 12 Coach of the Year. My predictions have Iowa State in the Big 12 Championship Game. They host Oklahoma in Ames. If the Cyclones pull off the upset, they could be challenging for a spot in the College Football Playoff. Yet, the conversation continues to be Oklahoma and Texas with a little Will Grier Heisman Trophy talk keeping West Virginia in the mix. Where’s the love for the Cyclones? Dave Beall: By default the bigger sleeper has to be the Cyclones, right? I haven’t heard a lot of talk about how Iowa State might challenge the Sooners for the conference title this year like I’ve heard about the Mountaineers. You can’t really be hyped as a possible championship team and be a sleeper at the same time so that kind of rules out the guys from West Virginia on this particular question. 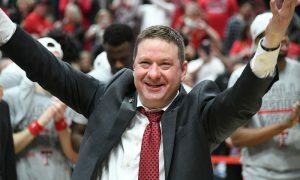 Now if you are comparing teams I think that Iowa State has a great chance to finish ahead of WVU in the Big 12 standings this year even though I picked them to finish a spot below the ‘neers. 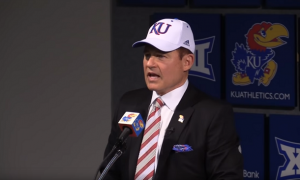 Last season all their Big 12 games other than Texas Tech and Kansas were decided by 10 points or less, win or lose. Change a few plays in those loses and they go to the Big 12 title game. Of course change a few plays in the wins and they may not going bowling either. So in my mind it comes down to coaching. Despite the firepower West Virginia has coming back I’ve been pretty underwhelmed with Dana Holgorsen as a head coach so far. In my opinion his teams under preform often. On the other hand I think Matt Campbell is a terrific coach but I still think he’d need a lot of luck to finish in the top three of the conference this season. So I think with some luck Iowa State could shock a lot of people. West Virginia is expected to be good so they would have to finish 7-5 for it to be shock to anyone.